EBHIPP program California Department of Health has created a program that pays an ADAP clients portion of their employer-based insurance premiums, who have elected to participate in the EB-HIPP program and meet program requirements. CDPH will pay medical and dental plans if a vision premium is included in the medical or dental premiums. It will be covered however EBHIPP will not pay towards Stand alone vision plans. Call for program requirements. Comprehensive AIDS Resources Emergency ACT. Health Insurance Premium Payment Program pays for health insurance premiums for eligible HIV infected individuals. People who receive CARE HIPP assistance are eligible for ADAP services . If clients are receiving CARE HIPP they are most likely enrolled in a private health insurance program. This means they are eligible for the co-payment assistance only. 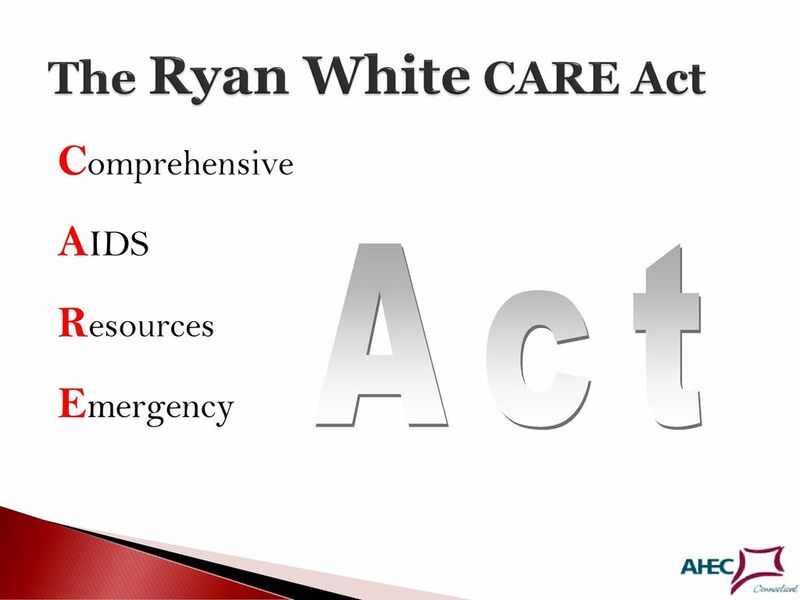 The Ryan White Comprehensive AIDS Resources Emergency (CARE) Act, was enacted in 1990 and reauthorized in 1996, 2000, 2006, 2009 and 2013. It is the centerpiece of the federal government’s efforts to improve the quality and availability of care for medically underserved individuals and families affected by HIV/AIDS. The Health Resources and Services Administration (HRSA) allocates funding to programs created by the CARE Act under various Parts. Ryan White was diagnosed with AIDS at age 13. He and his mother Jeanne White Ginder fought for his right to attend school, gaining international attention as a voice of reason about HIV/AIDS. At the age of 18, Ryan White died on April 8, 1990, just months before Congress passed the AIDS bill that bears his name – the Ryan White CARE (Comprehensive AIDS Resources Emergency) Act. For complete information about the Ryan White CARES Act please visit http://hab.hrsa.gov/abouthab/legislation.html.